Thanks to all of you who came to CoDev2015 last week in Scottsdale! It was a truly collaborative and forward-thinking gathering of innovators, with an extraordinary amount of knowledge and willingness to share. We came away with many new insights, and we greatly appreciate everyone’s openness. For those of you who missed it, I’d like to share a brief recap of the highlights and invite you to join us next year. Throughout the three-day event, we discussed the key OI success factors for today’s global business climate — from strategic alignment, culture, processes, and impact measures to managing collaborative networks and creating healthier ecosystems. Strategy: It is critical to have a clear ‘need’ definition process, with a prioritized list of scoutable needs aligned to business strategy. Needs must be written for both confidential and non-confidential use. Culture: Leverage early ‘wins’ to drive change. Involve cross functional perspectives early on. Be sure to include HR, Legal and Procurement. Use a trial and scale-up approach to build capabilities. Communicate often, both internally and externally. Processes and Tools: Tools and processes are enablers, not an end in themselves. Implement a flexible process from need identification into your stage-gate development process. Establish market potential and feasibility assessment criteria, approval & funding checkpoints, and pathways for dialog. Monitor and adapt as needed. 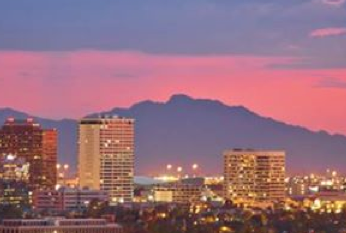 The future of OI looks bright indeed and we hope you will join us at CoDev 2016 in sunny Scottsdale next winter. Watch our website, LinkedIn group and Facebook page for news and updates.